ones. 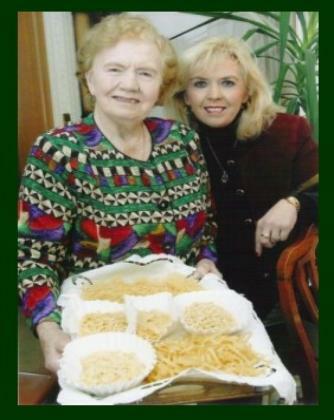 But how do we recapture the taste and aroma of homemade delicacies, favourite meals or celebration dinners? "That was the problem in our case," Clara Czegeny told me. mother would always include a mild rebuke, namely, we should have paid attention in her kitchen when we were girls at home." assured me, 'yes,' but it happened in rather a round-about way. 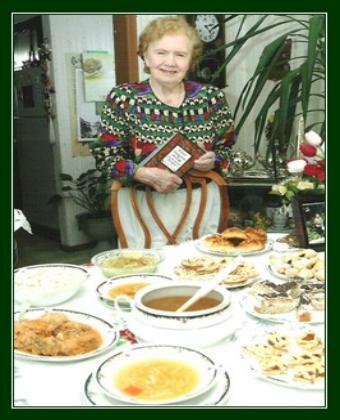 together a collection of her Hungarian recipes and offer them to the invited guests. $1,100, that's 137,000 florins in Hungarian money, enough for a period of four months living expenses for the missionary family." master chef, chief editor and consultant." tasting, and to Uncle Nick Czegeny. an astonishing array of dessert treats. bring out the flavour of special herbs, was delicious. Austrian and Turkish influences to be detected in the internationally famous cuisine. have six or seven types of baked goods in the freezer, in case someone comes in for coffee or tea." of patient shaping by hand. © 2006 Osprey Media Group Inc. All rights reserved. book with media taste and sign events! site may be reproduced without written consent by the author. grandmother prepared in her kitchen!